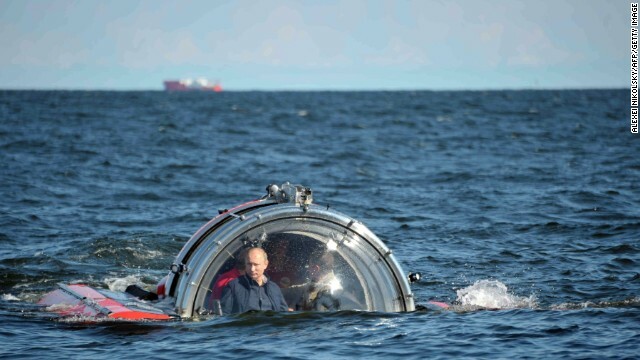 Russian President Vladimir Putin inspects military exercises near Sakhalin Island in the Pacific Ocean, on Tuesday, July 16. (CNN) — Russia is in the midst of its biggest war games since Soviet times, with 160,000 troops, 130 planes, 70 ships and thousands of tanks and armored vehicles participating in the country's Far East, according to media reports. Russian President Vladimir Putin ordered the drills last Friday and they began that night, according to reports from the RIA Novosti news agency. 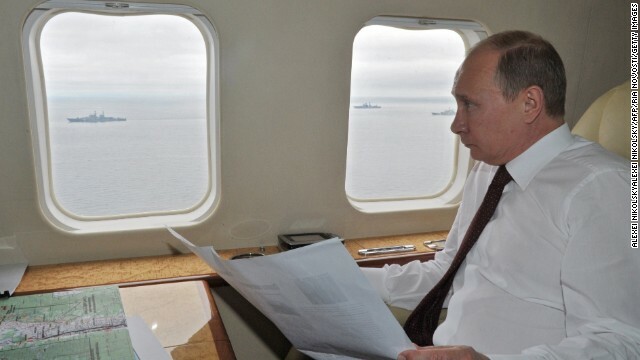 Putin flew to Sakhalin island off the eastern coast to oversee the games on Tuesday, Russia's presidential press service reported. "The main purpose of the activities is to check the readiness of the military units to perform assigned tasks and evaluate of the level of personnel's training and technical preparation as well as the level of equipment of units with arms and military equipment," the Russian Defense Ministry said in a statement reported by Russian Television. "The Sakhalin part of the maneuvers was intended to simulate a response to a hypothetical attack by Japanese and U.S. forces," Konstantin Sivkov, who is retired from the Russian military's General Staff, told the Nezavisimaya Gazeta newspaper, according to a report from the BBC. But Russia's deputy defense minister, Anatoly Antonov, said the games were designed to "enhance the army's combat readiness" and were not directed against any specific nations, the BBC reported. Some of the units involved in the exercises moved more than 3,000 kilometers (1,800 miles) from their bases to participate, according to the Russian media reports. The current drills, which are expected to last through the week, are the latest in a series of snap exercises conducted by the Russian military this year, Russian Television reported. Similar drills have been conducted in the country's west, south and central military districts, the report said.